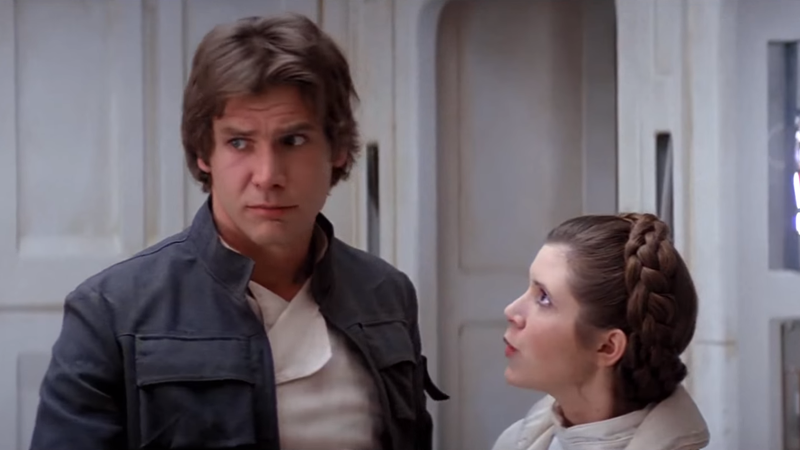 It’s one of the greatest insults in sci-fi movie history: Princess Leia calling Han Solo a “stuck up, half-witted, scruffy-looking Nerf herder!” Now, Marvel’s increasingly delightful Star Wars comic has given us an insight into just how the galaxy’s most loveable smuggler earned that particular insult. Very minor spoilers ahead for Star Wars #17 by Jason Aaron, Leinil Francis Yu, Gerry Alanguilan, Sunny Gho, and Chris Eliopoulos. In the current arc of the Star Wars comic, Luke and Han are out on a mission looking to buy more supplies for the Rebellion. Naturally, Han loses the Rebellion’s money in a sabaac game, and the duo have to resort to smuggling to try and raise enough funds to actually buy supplies. Luke makes a deal on Nar Shaddaa, the smuggler’s moon, much to Han’s delight... until he finds out what the cargo they’ve agreed to transport is. Yup. That’s Luke Skywalker and Han Solo, smuggling a herd of Nerfs. And being chased by Imperials for it, to boot. Illegal Nerfs! The most amazing thing about this bit of goofballery? It comes smack bang in the middle of an issue that sees Princess Leia being forced to grapple with the moral soul of the Rebel Alliance, and the ethical compromises that may have to be made in order to combat the Empire—all while a secret Rebel prison housing Imperial war criminals comes under attack from a mysterious group intent on killing rather than imprisoning the captives. It’s what makes these Star Wars books so bloody brilliant.